We greatly value and promote clinical, translation, and basic-science research. We are affiliated with Los Angeles Biomedical Research Institute (LA BioMED), one of the foremost non-profit research institutes in the US, which has over 400 researchers. LA Biomed serves as the umbrella organization for our faculty researchers and also provides financial and academic resources for housestaff interested in research. Many of our faculty are nationally-renowned experts in their fields and are highly enthusiastic about working with housestaff and serving as research mentors. We are also affiliated with the David Geffen School of Medicine at UCLA. We believe that scholarship is part of learning and the residency experience. We provide elective time in each year of residency, which can be used for research. All of our residents participate in local conferences including Solomon’s Scholar and Southern California ACP and we highly encourage participation in national conferences. We provide funding for conference related fees and travel for residents. We expect our residents to participate in scholarly activities outside of their regular clinical duties. The curriculum provides for elective time in both the junior and senior years to allow for research projects. The program also participates formally in multiple conferences including the Southern California ACP meeting and Solomon Scholar’s at UCLA. 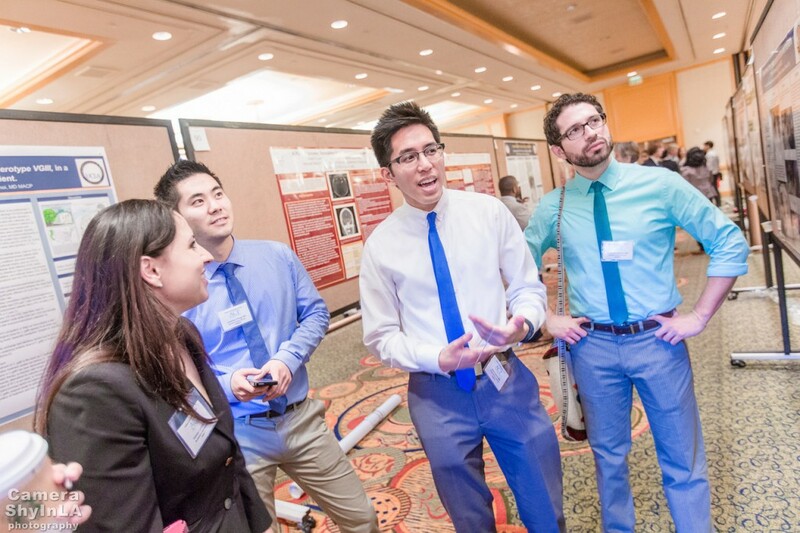 Our residents have presented posters at national conferences including the American College of Gastroenterology and American College of Chest Physicians. The department provides funding for attending these conferences. We also have research affiliations with other institutions including UCLA Ronald Reagan and City of Hope National Medical Center. Please see our list of recent resident publications.